WELS rating: 5 stars, 56L/wash. Energy rating: 5 stars, 216 kWh per year. The appeal of front loading washing machines is undeniable. Attractive, functional and easy on clothes, the best front loaders are a genuine laundry design consideration worth exploring. 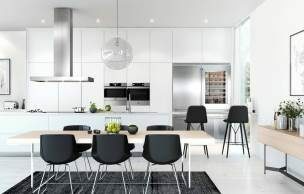 ASKO appliances lead the way with minimalist style that conceals powerful performance and quiet operation. 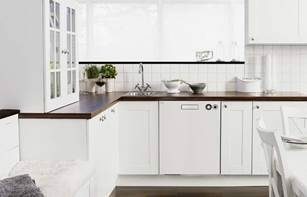 The ASKO W4086P.W.AU is an example of modern appliance development where form and function coexist in perfect harmony. 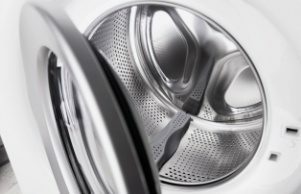 Australian consumer expectations are high when it comes to laundry appliances. 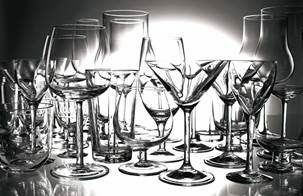 Competition is fierce between manufacturers, including price offerings that appear too good to be true. It’s worth understanding that bargain basement prices offer only short term financial solutions that often result in ear-shattering headaches and financial heartache. The best front loading washing machines, on the other hand, are hard-wearing, durable, quiet to operate and visually appealing. · Pro Wash washing system which soaks the load faster for a more superb washing result. The ASKO W4086P.W.AU front loading washing machine has a 1-8 kg capacity and spin speed of 1600 rpm. With a 2000 W heater capacity and 60 litre drum volume the W4086P.W.AU performance results in an impressive 5 star energy rating and 5 star water rating. The machine weighs 76.5 kg, including a 10.2 kg cast iron counter weight, enhancing sturdy and stable functioning for every wash.
With noise levels of only 77dB maximum, washing doesn’t need to be a distraction, allowing you to enjoy regular household duties free from disturbance. ASKO front loading washing machines are the user-friendly alternative for every type of wash cycle. Normal mode, Green mode, Allergy mode, Speed mode and Intensive mode cycles are all possible with the W4086P.W.AU, allowing you to get the wash results you desire. The ASKO W4086P.W.AU is versatile, adaptable and incredibly convenient for a tailored washing experience. The programs and functions are illuminated on the high-definition control panel interface, allowing you to select the right wash cycle for every type of material. Program modes include everyday wash, cotton, wool/hand wash, dark wash and mix/synthetics. Shirts and bedding also have tailored wash cycles, along with anti-allergy programs for cotton and synthetic materials. When washing is done, the drum cleaning mode makes maintenance easy. With the W4086P.W.AU your clothing becomes fresh, clean and blemish-free at the push of a button. ASKO W4086P.W.AU additional options include super rinse, super wash and prewash options plus adjustable spin speed. 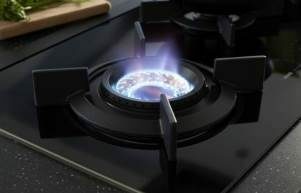 ASKO innovators are dedicated to creating the best appliances for Australian households, and a visit to any quality showroom will reveal the full extent of ASKO popularity. Scandinavian style remains enduringly in vogue, with form and function on display for everyone to appreciate. The W4086P.W.AU is a seamlessly integrated appliance that will look showroom-fresh during many years of hard-wearing use. The attraction of front loader washing machines extends far beyond appearances alone. The best front loading washing machines focus on multifunctional capability, with water savings an important consideration. Water-wise solutions with ASKO front loading washing machines allow users to save precious resources with every wash. To put things in perspective, front loading washing machines use approximately one third the water of upright models that can drain 150 litres with every wash cycle, making front loaders a genuine sustainable alternative. How do you use a front loading washing machine? People who are used to top loading washing machines are surprised at just how easy front loaders are to use. The spacious drum capacity free from an intrusive central agitator allows plenty of room for larger loads that don’t get tangled and remain sodden. The easy to navigate control panel on the ASKO W4086P is where things get really exciting, opening up a whole new world of washing potential for users. With the simple push of a button, all settings, programs and modes can be minutely adjusted for a tailored user experience. 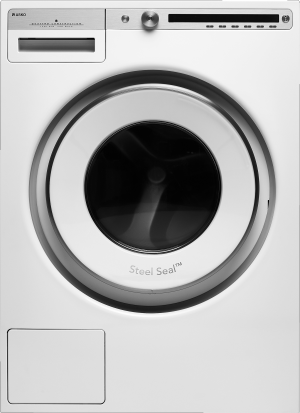 Features include a SteelSeal door without rubber components, Quattro internal legs for added stability and ActiveDrum technology for a gentler, cleaner wash every time. 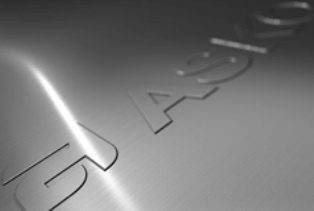 ASKO remains the appliance manufacturer of choice for Australians who appreciate convenience, cleanliness and style that never goes out of fashion.